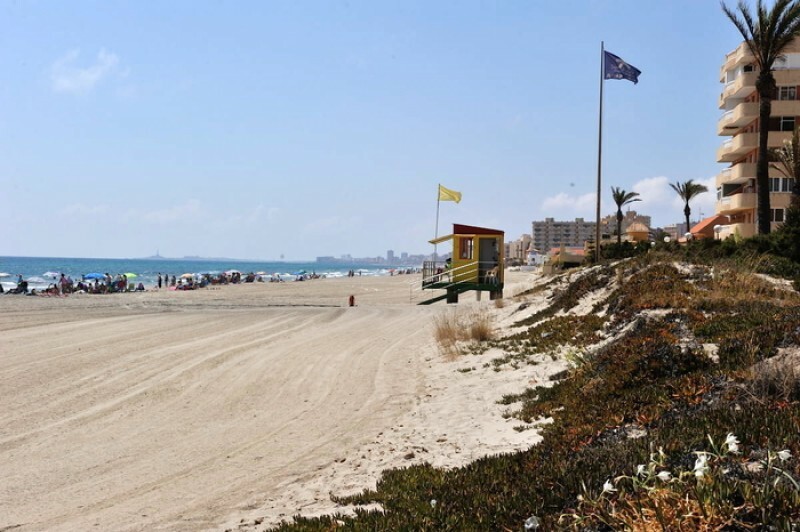 Playa El Arenal is a long Mediterranean coastal beach in La Manga del Mar Menor, offering 1.8 kilometres of unbroken sand, and averaging 18 metres in width. 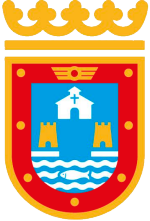 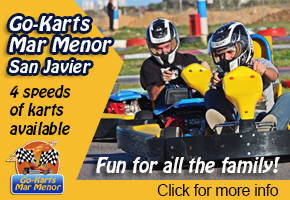 It runs between kilometres 8 and 10 of La Manga, in an area where the land widens out sufficiently to permit the construction of substantial blocks of residential apartments on both sides, although mainly on the Mar Menor side of the coast, with the Gran Vía running up the centre of the spit. 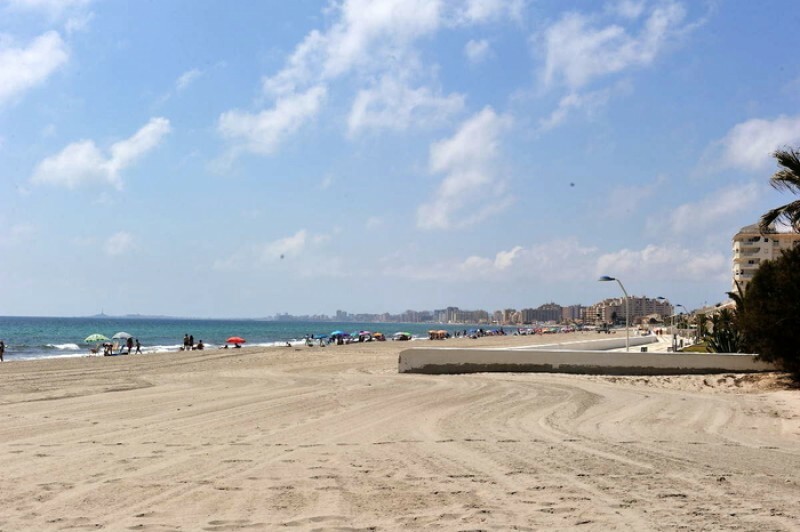 The main residential areas using this beach are the those which lie between Virgen Blanca, El Pedrucho and Pueblo Cálido. 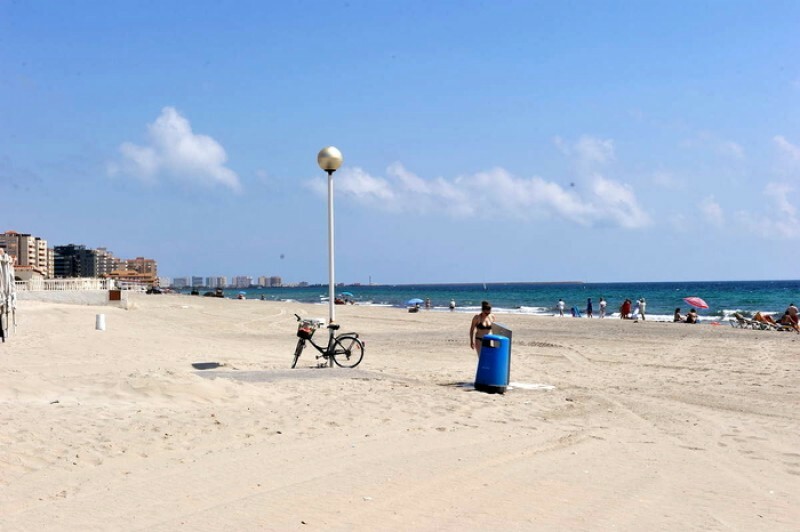 The surface is the fine golden sand which is so typical of the Mediterranean coast, and due to the large number of residential properties close by it teends to be occupied by a large number of visitors in summer: nonetheless, due to its sheer size, it can rarely be described as crowded. 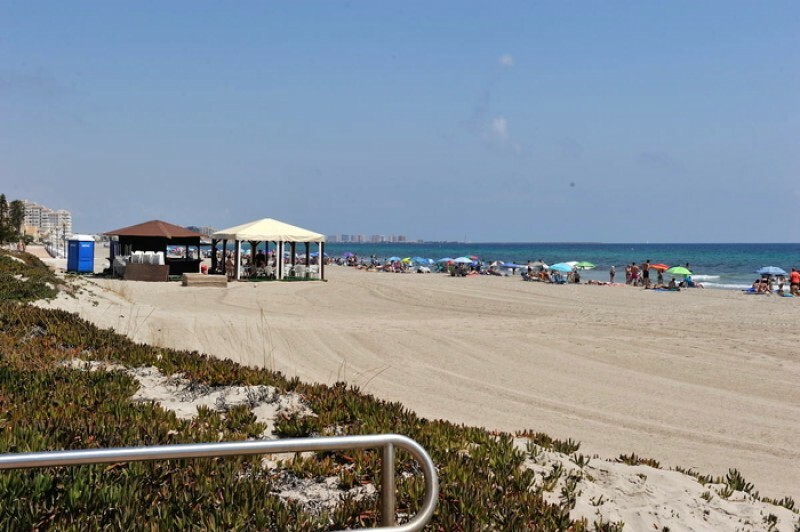 Services and facilities include toilets, footwashes, bins, wooden walkways and chiringuito beach bars, and there are also plenty of bars, shops and restaurants in the area. 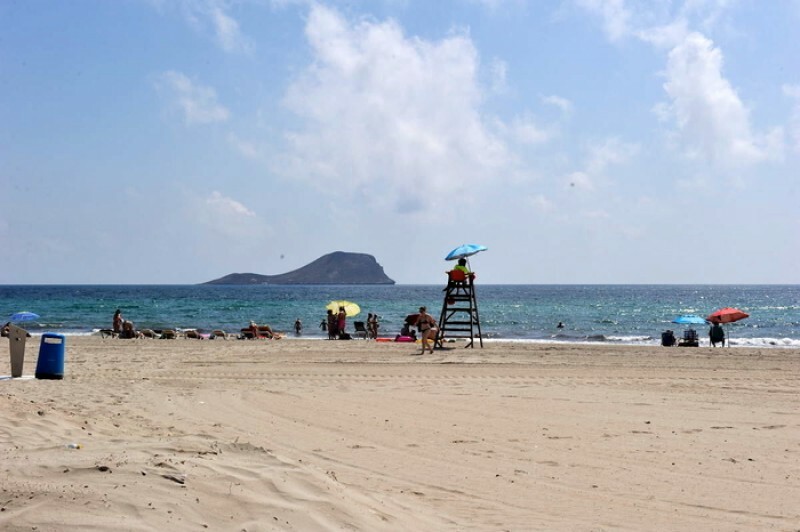 Access: a bus service runs right along the length of La Manga throughout the day, with several stops near El Arenal, and there is generally plenty of parking in the built-up areas except at times in July and August.